Too often we let the stresses of everyday life consume us. 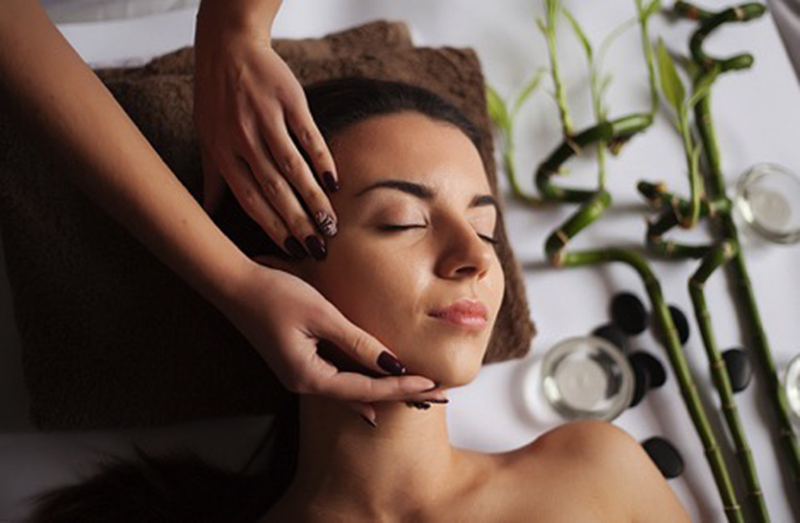 Taking some time to pamper yourself is not only a great way to recharge and rejuvenate but a necessary part of staying healthy both physically and mentally. Stress from work and home life can build up in our systems and have massive effects on our physical and mental health. Taking time out of our busy lives can seem like an overreaching task. However, taking even one day to pamper yourself or indulge yourself can improve your overall health in significant ways. According to an article from the University of Minnesota, stress can lead to several negative effects on your body such as decreasing of immune response and increased risk of cardiovascular diseases and cancer. Pampering yourself on occasion can help you de-stress and keep you in the right state of mind to help get through your workload throughout the week. You do not even have to necessarily splurge on an expensive spa day to give yourself a relaxing day. You can create the atmosphere of a high-end spa right at home by getting at-home spa treatments from your local beauty store and decorating your home with fresh flowers and candles. Taking some time to de-stress and escape the realities of a busy schedule can also help you refocus on what is important. Taking some time to yourself and learning to say no to responsibilities can help you ease stress, which in turn can help you learn to focus better. According to an article in Mayo Clinic, just the simple task of learning to say no regularly can help ease stress and the feeling of being overwhelmed drastically. So make sure to put your electronics away when you give yourself a pamper day and disconnect from the responsibilities that tend to consume your everyday life. We often let the thought of work consume our days and we tend to let little focus on the relationships that give us happiness. Taking a pampering day or treating yourself to a day off can help us not just escape work stress, but give us some time that could be spent with friends that we may not often get to see. Several studies have highlighted the benefits of spending leisure time with friends on our happiness. Consider scheduling your pampering day with a couple of friends so that you get to spend that relaxing time in each other’s company. Not only will you see an improvement in your mental health and happiness when you take some time for yourself, but you will also see an improvement in your physical health. Most notably, you will likely see a massive improvement in your skin. This could be because your mental health can often affect your physical health as well. Ted Grossbart claims that our mental health can often be reflected in the health of our skin. Thus, treating yourself to some relaxation and fun can help improve your skin in ways you never thought of and although stress might not be the root cause of acne and other imperfections, it can be a trigger. Eating healthy can be challenging with a busy schedule. Many people tend to just grab whatever might be the easiest thing to eat such as fast food or junk food. A busy schedule can wreck havoc on your physical health. Taking a day to treat yourself can help you detox your body and see some improvement in your physical health. Your pamper day should not just include a visit to the spa, but also include healthy meals to help detox your body of toxins. Treating yourself every once in a while might seem like an indulgence, but it could be a worthwhile investment in yourself. Pampering on purpose can help you improve both your mental and physical health. Ashley Smith is an author, real estate expert, and mother of two beautiful young girls. She is passionate about architecture, which has been her full-time job, home decor, green technologies, and health. Her hobbies include reading about interior design and writing about her daily experiences. She loves helping people with her knowledge so that they can fulfill their dreams.